The Performer™ ST210 is the solution to moderate heating needs. Its elegance and engineered simplicity makes it a pleasure to burn and a large cooktop surface allows for food preparation – even during power outages. 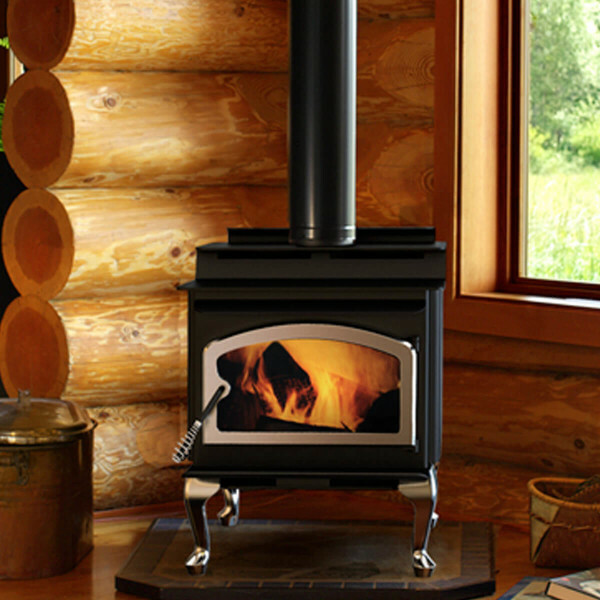 The Performer will add efficiency, ambiance and warmth to your home. Constructed from premium materials, like heavy-gauge stainless steel for dependable performance and striking appearance. Utilizes technology developed by NASA that has 10 times the insulation value of firebrick, radiating heat back into the firebox and creating higher efficiencies and cleaner gas. Singular draft control for simple operation and burn rate adjustment. Five unique door finishes to fit your style and home. Pedestal or leg choices provide customizable appearance for personalized styling preference.